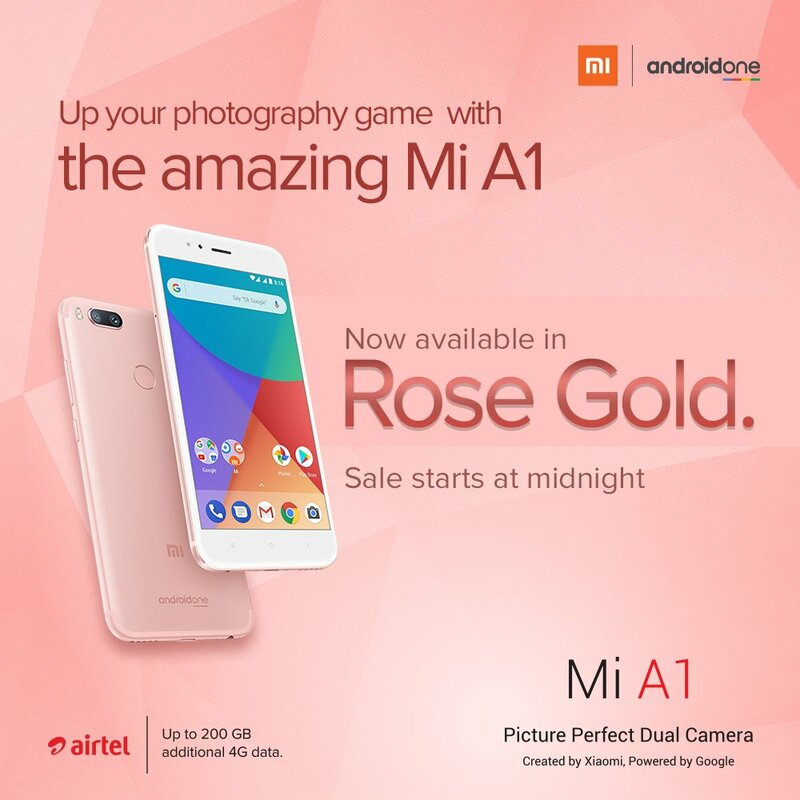 Earlier this year on September Xiaomi officially unveils the Mi A1 Android One smartphone in three color options including Black, Gold and Rose Gold. Until now only the Black and Gold color variant of the device was available for purchase. Starting today, however, customers waiting for the Rose Gold variant has finally come to an end – as now they can order one for themselves. Xiaomi via a tweet on Twitter announce this, the sale is already live. Apart from the color, there isn’t anything different about this device. The device comes with Android Nougat out of the box and will get the Oreo update. What do you think of this Rose Gold Xiaomi Mi A1? How many of you are looking forward to it? Do share your views via comments below!